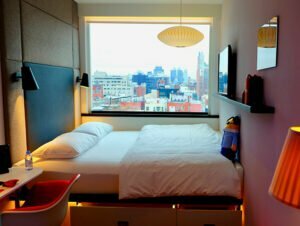 citizenM New York Bowery Hotel is the second citizenM hotel in New York. Located in the up and coming Bowery neighbourhood, this hotel opened in 2018. 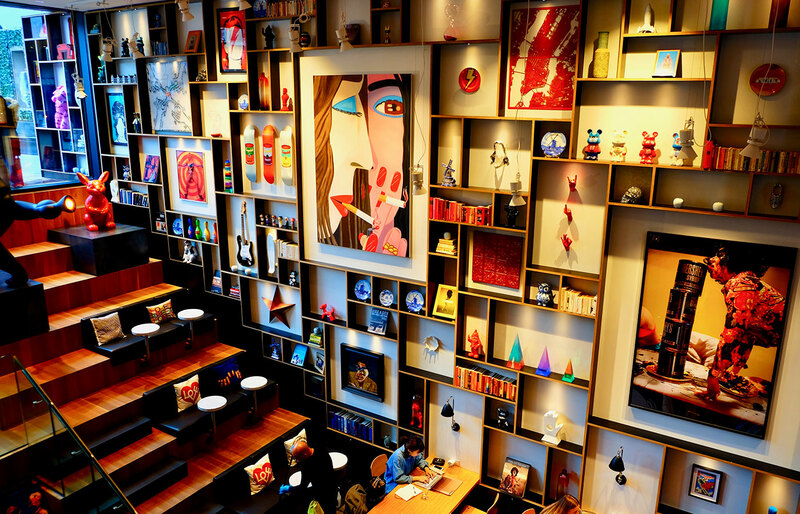 As a hotel chain, citizenM promotes a deluxe but affordable lifestyle. This is reflected in the facilities and design throughout citizenM Bowery. As with the other hotels in the chain, this hotel has a colourful and atmospheric decor. Full of art and comfortable sofas, you can relax after a long day of sightseeing in New York! citizenM Bowery offers a wide range of facilities to ensure that your stay is comfortable. Free WiFi is available throughout the hotel. There are even iMacs available, in-case you didn’t bring your laptop. The hotel also has its own bookshop. In addition, you’ll never go hungry when you stay at citizenM: the restaurant, canteenM is open 24/7 serving snacks, breakfast and light dishes for lunch and dinner. For a drink with a great view, there’s the cloudM rooftop bar, which boasts both in and outdoor seating areas. The hotel has over 300 guest rooms spread over 19 floors. All are well appointed in the characteristic citizenM-style. The rooms are compact and have a huge window, giving you a nice view of the surrounding neighbourhood. Every room has a comfortable, king-size bed. You can relax, watch free movies and use free WiFi, available throughout the hotel. Or wash the day away under the deluxe rain shower. Last but not least: the whole bedroom can be controlled from the comfort of your bed, with an in-room tablet! citizenM Bowery has more to offer than just rooms: The hotel is also home to a museum. The Museum of Street Art is an ode to 5 Pointz; a building in Long Island City. It displayed the work of many graffiti artists and was unexpectedly destroyed in 2013. 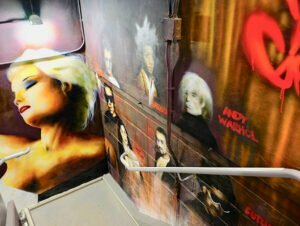 A number of the 5 Pointz artists have created new art in the stairway of the citizenM. This special museum is definitely worthwhile paying a visit to! I recommend taking the lift to the top floor and then walking the stairs down to the bottom. This way, you can admire the artwork without too much work on your part! 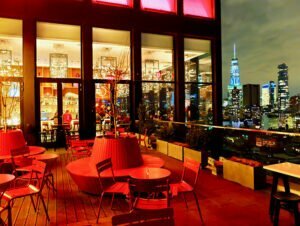 citizenM Hotel Bowery is located in the Bowery neighbourhood, a nice area in Lower East Side rapidly increasing in popularity. Bowery borders Nolita, Chinatown, East Village and SoHo, which means a lot of nightspots are close by. There are no clubs on the street itself, and the hotel has soundproof windows, so you don’t have to worry about any disturbances. The neighbourhood also boasts an abundance of art galleries, so it’s also a suitable place for art lovers. In addition, there are a wide variety of nice restaurants and boutique shops within walking distance. Subway stations Bowery (lines J and Z), Grand Street (B and D) and Spring Street (6) are all close by, giving you easy and convenient access to the rest of the city. Eric’s Tip: I’m a big fan of citizenM hotels! 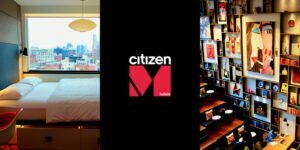 I especially recommended citizenM Bowery if you’re visiting New York for the second or third time as it’s less central than citizenM Times Square. However, Bowery is a really vibrant neighbourhood and a great area to stay in. Plus, with the convenient subway, you can get to all the famous city sights in no time.